The Duke and Duchess of Cambridge To Visit US Again! Roll out the royal red carpet: The Duke and Duchess of Cambridge are coming to America once again!! Nothing sets an Anglophile’s heart aflutter than to hear of a potential royal visit to our very own homeland. Clarence House released a statement this morning confirming that Prince William and Catherine, The Duchess of Cambridge will visit the US between 7th and 9th December 2014. This is such exciting news that it propels me to bake some scones, get out my best china and invite friends over for tea just to watch the daily coverage on television and discuss Catherine’s inevitably fabulous ensems!…Because we all remember how stunning she looked during their 2011 visit. The royal couple are scheduled to travel to New York City for some joint engagements, after which Prince William will then travel on to Washington DC for a visit while The Duchess remains in New York. But don’t bother sending Her Royal Highness an invite to afternoon tea as she will be much occupied with many solo appearances of her own. In the official statement Clarence house said, “The Duke and Duchess will attend events on behalf of the Royal Foundation and other charities with which Their Royal Highnesses are closely associated, and also on behalf of HM Government. On this visit the charitable themes will include promoting sustainable conservation issues with a particular focus on collaborative working to tackle the illegal wildlife trade, and also supporting organisations which reflect Their Royal Highnesses’ interest in young people’s mental health and the importance supporting disadvantaged young people from an early age. As Patron of the University of St Andrews 600th Anniversary Campaign, The Duke accompanied by The Duchess will also attend the University’s 600th Anniversary Gala Dinner in New York. In support of UK Government Initiatives, The Duke and Duchess will attend events that celebrate the successful partnerships between the UK and USA in the technology and creative industries sectors. This follows events in support of these sectors that Their Royal Highnesses attended in 2011 in California, and reflects The Royal Family’s ongoing support for the creative and technology sectors. 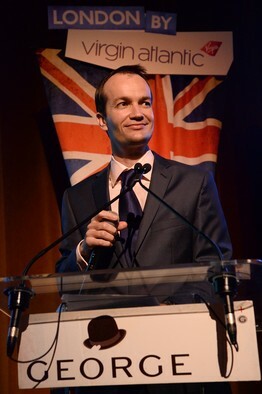 Also accompanying the royal couple will be the British Consul General to New York, Mr. Danny Lopez. 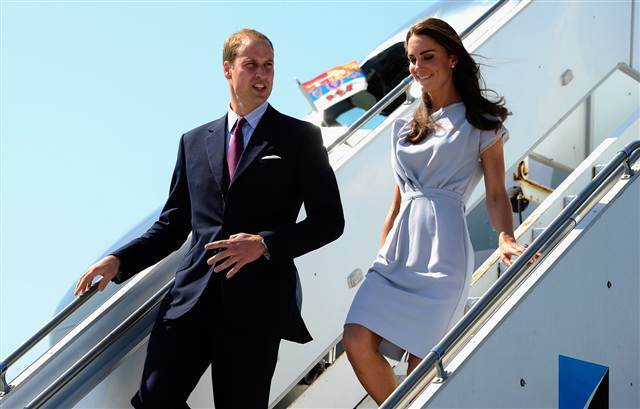 The Duke and Duchess will arrive in New York. William and Catherine will attend a private engagement on behalf of the American Friends of The Royal Foundation that evening. The Duke will travel to Washington DC, while The Duchess remains in New York. His Royal Highness will attend an anti-corruption conference at the World Bank to discuss a zero tolerance approach to the transportation across borders of illegal wildlife parts. This is a key area of work for the United For Wildlife consortium, of which The Duke is President. The Duke will also attend a working lunch at the World Bank at which a number of programmes in support of the fight against the illegal trade in ivory will be discussed. The Duchess of Cambridge, accompanied by The First Lady of New York City, Chirlane McCray, will visit a local child development center. They will learn about how this organisation fosters the healthy development of children and families by providing high-quality mental health and educational services, which is an issue strongly supported by The First Lady. Her Royal Highness will also attend a lunch, hosted by the British Consul General in New York, to celebrate the achievements of a successful British community in New York from the culture, arts, hospitality and business sectors. In the evening: Their Royal Highnesses will attend an NBA Basketball game to help launch a new collaboration between the Royal Foundation, United for Wildlife and the NBA. The Duke and Duchess will visit a youth organisation to see the work they carry out in partnership with an inner city youth development foundation. Both organisations focus on programmes and projects that promote positive youth development and social learning. During the visit, The Duke and Duchess will learn about the wide-ranging support services on offer to young people to help them reach their potential, particularly through an arts-in-education model that supports the artistic and intellectual development of the participants. The Duke and Duchess will then attend an event celebrating the wealth of British talent in the creative industries based in New York. The reception will be in association with the UK Government’s GREAT Campaign. The Duke will also attend a technology themed event, hosted by a New York-headquartered technology company, which will bring together entrepreneurs from both the UK and the US. The final engagement of the visit will be the University of St. Andrews 600th Anniversary Dinner at the Metropolitan Museum of Art. The evening event will support scholarships and bursaries for students from under-privileged communities, new student sports facilities in St Andrews, investment in the university’s medical and science faculties and a lectureship in American Literature at St. Andrews. No word on whether Prince George will be accompanying The Duke and Duchess to New York. How exciting would that be? However, it is going to be quite the busy, jam-packed tour for William and Catherine and we wish them both safe travels and a happy visit to the United States! 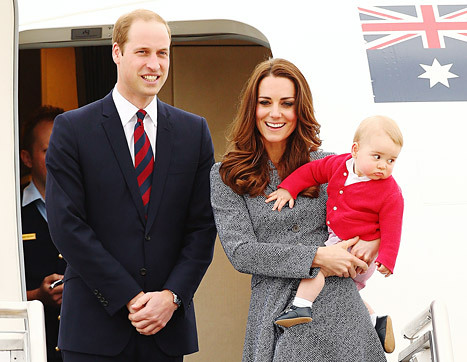 Will Prince George accompany the William and Catherine to NYC? 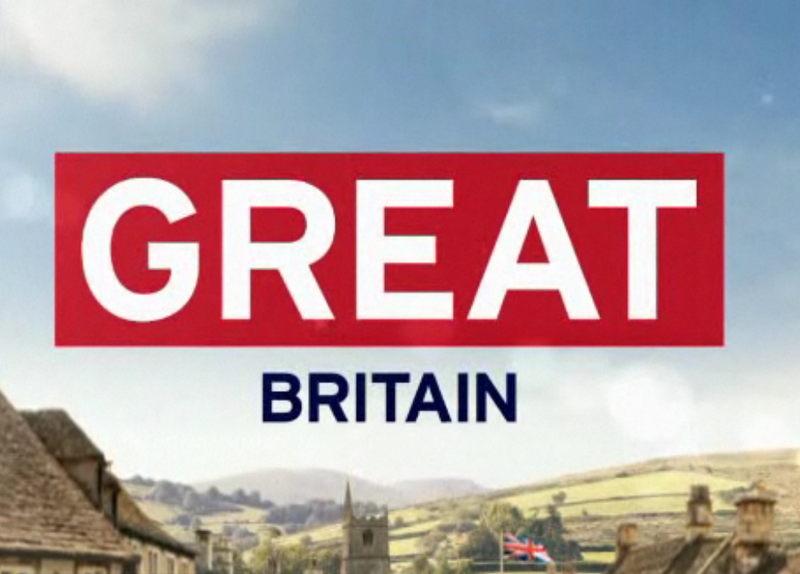 Stay tuned to The Anglophile Channel for full coverage on the Royal Visit! Follow this blog, Like us on Facebook: https://www.facebook.com/TheAnglophileChannel?ref=tn_tnmn and Follow us on Twitter @AnglophileTV! Lady Anglophile…picking out a proper hat, because one never knows when The Duchess might be ringing for tea! This entry was posted in Rule Britannia! and tagged Catherine The Duchess of Cambridge, Duke and Duchess of Cambridge, Prince William. Bookmark the permalink. 1 Response to The Duke and Duchess of Cambridge To Visit US Again! How exciting. Quit the trip. Would be awesome to see them in person. Thanks for the info.